For use with 2010 or later AVH model receivers. Pioneer AVIC-U280. 2010: AVH-P5200BT, AVH-P5200DVD, AVH-P4200DVD, AVH-P3200BT, AVH-P3200DVD. NAVTEQ map database and updated user interface. Map updates via SD card slot. Very good used condition. Tested, works great looks great. HERE® map database and updated user interface. Used, nice condition, fully tested working nicely. Manufacturer Onkyo & Pioneer Corporation. Network & Communication. Map & Routing. We focus on making purchasing online a pleasant experience. Our sales office is located in beautiful town of Redondo Beach, California, just a few miles South of Los Angeles International Airport. 100% Complete and not missing anything. (we can help we have sources!). Check-Out Now! WE SEND ALL OUR. Collected based on item & State. Pioneer AVH-X390BS double din Bluetooth in-dash DVD/CD/am/FM car stereo receiver w/ 6.2" WVGA screen, Sirius xm-ready. Cea-2006 compliant amplifier. Am/FM tuner with 18FM/12Am presets. Pioneer AVH-X390BS double din Bluetooth in-dash DVD/CD/am/FM car stereo receiver w/ 6.2" WVGA screen, Sirius xm-ready. Cea-2006 compliant amplifier. Am/FM tuner with 18FM/12Am presets. 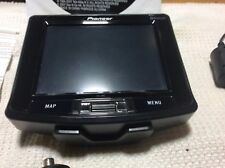 Pioneer AVH-X390BS in-dash receiver. It has a built-in traffic tuner that covers all 50 US states, Canada and Puerto Rico. Resolution is WVGA or QVVGA, depending on the existing head unit. It also includes an SD/SDHC Card slot. 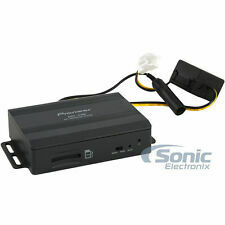 Compatible with 2010 or later Pioneer AVH models. This unit might work.it may not. working condition is unknown.